Summary: At one time or another, everyone has wished she could be someone else. Exploring this universal longing, Allie Larkin follows up the success of her debut novel, Stay, with a moving portrait of friendship and identity. she said, pulling away but keeping a firm hold on both my arms. I was about to tell her that I didn’t know what was going on. “I liked your old nose,” she said, shaking her head at me. forget about me, or whoever she thought I was, in the shuffle. 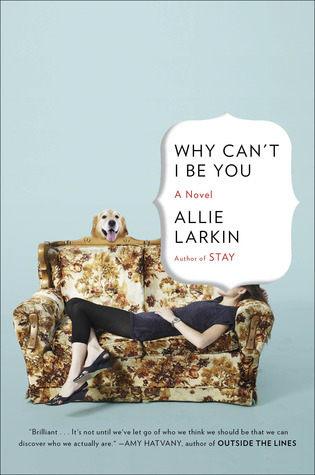 To learn what happens next with “Jenny” read WHY CAN’T I BE YOU by Allie Larkin. 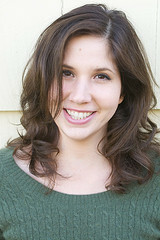 Allie Larkin is the internationally bestselling author of the novel Stay, and the upcoming novel Why Can’t I Be You (2013). She lives with her husband, Jeremy, their two German Shepherds, Argo and Stella, and a three-legged cat.